Here's another with the 1985 Topps Baseball design. Again, when I first started making customs I used this template almost exclusively. 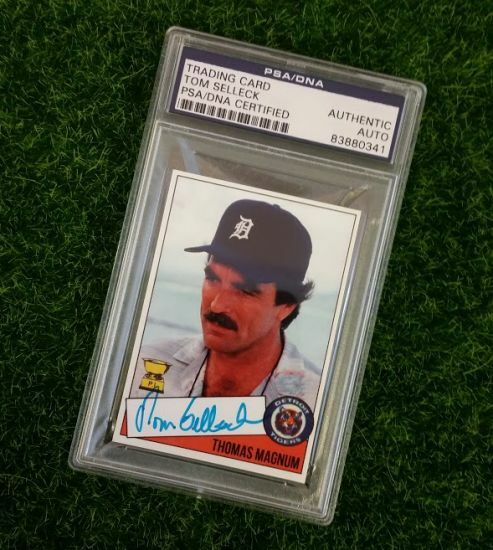 Although Donruss did put out a Magnum P.I. 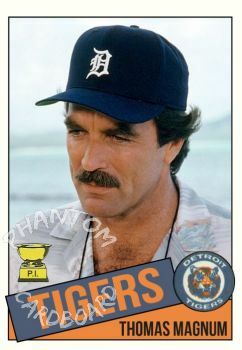 set in 1983, I wanted to make a card teasing Thomas Magnum as a baseball player since he's always wearing the Tigers hat while doing his Hawaii P.I. work... while driving a Ferrari. What a gig.